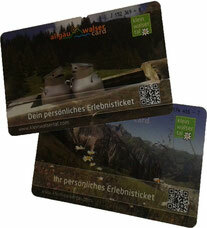 Just show your Allgäu Walser Card. You can use the "Walser-Bus" in the whole valley for free. If you want to go to Oberstdorf you can purchase discounted tickets. Peakadventures for free! Choose out of 8 professionell guided mountain-hikes, mountainbike tours and issue nature hikes provided by the Bergschule Kleinwalsertal. You can get the detailled brochure at the guest-information.